Singer & Songwriter, Bayowa Joseph aka JOB’S offers up worship to the Most High in his latest single titled No Other Name – a compelling follow-up to his sophomore effort ‘Green Land‘ released earlier this year. JOB’S is a gospel recording artist with a dynamic sound and spirit that ushers people into God’s presence. He is inspired by the likes of tye tribett, Travis Greene, Ibk_theoffspring and more. Take time to know your child. Working with a child’s personality, a parent needs to learn to develop that child’s individual traits and abilities and sometimes temper strengths that left unchecked would become a liability. For example, an assertive, outgoing personality is a great trait in a leader, but without self-control it can be seen as overly aggressive and controlling. Send in your thoughts on the above, Via the comment section. Unilever is a major player in the Fast Moving Consumer Goods (FMCG) segment of the Nigerian economy. Some of the company’s world class standard brands are Close Up toothpaste, Lipton Yellow Label Tea, Blue Band Spread, Knorr and Royco Cubes, Omo and Sunlight laundry powder, Lux and Lifebuoy soaps. Our business is founded on a sense of purpose, and our unique heritage still shapes the way we do business. Coronation Merchant Bank – We are a Nigeria-based investment bank that provides innovative, long-term financial solutions to corporations, state governments and other financial services organisations. Our graduate internship programme is designed to attract the best and the brightest talent: those with strong academic credentials, intelligence and the ability to learn quickly. More than that, we are seeking those special individuals who exude pride – pride in their professionalism; pride in their appearance; and pride in being part of our vision. The National Youth Service Corps (NYSC) has released details of Online registration for 2017 Batch ‘B’ corps members. According to the timetable released by the scheme, the online registration for foreign and locally trained graduates, begins 24th October. It also noted that prospective corps members will be able to print their call-up letters from Nov 13. The Scheme, did not however state when the orientation course will begin. Graduates are to visit the Nysc portal via www.nysc.org.ng for online registration and bio-metric data capture. 8.) Unlike in the past, Foreign-trained graduates should NOT visit NYSC Headquarters, Abuja for verification of their documents. This exercise will now be done at the Orientation Camps. They should simply print their call-up letters on-line and report at the Orientation camps in their States of deployment, but should come to the camp with the original documents they uploaded for verification. Are you looking for ways to get a job in Nigeria? Ok, you have posted and applied for all available jobs on several Nigerian job websites like jobberman, tundegold.com, myjobmag, Nairaland job vacancy section. You have even followed up several HRs with calls and networked till your shoes are almost worn out. Every Sunday you take several newspapers and apply for jobs in your field, but nothing yet to show for it. Maybe you should take a look at your CV again By Clicking HERE TO FIX IT. But if you assume that your CV’s are good to go alongside your cover letter then let’s look at the Guerilla methods that can get you a job in Nigeria before the year runs out. Find a company you intend to work for. Write a SUPER cover letter on why they should give you a chance, pointing them to check out your resume. Don’t seal the envelope and don’t add any resume to the envelope. They’ll assume that the resume fell out off the envelope. Make sure you attach your number to the cover letter. It is 90% certain that they will call you for an interview – i.e if such a position needs someone to come in. When you are finally called, SELL yourself shamelessly and with all vigor. Make use of the power of direct mails – I don’t mean Emails. Emails can be trashed with ease, but a direct mail has the power to be treated with respect. Locate up to 5 companies you wish to work for. Look for a contact in your network and ask them if they know anyone who works in any of the firms you listed out. If they give out the names, collect permission to forward your resume via email and always mention your contact in the cover letter. Create a list of up to 20 companies you intend to work for and send an email to everyone you know, requesting to know if any of them knows someone who works in those firms. Ask them to contact you if they know someone so that you can ask for referrals. Finally, you can also ask them to forward the emails to 10 more people to their own contacts. Please don’t do this if you are currently employed – I guess you know the reason. Write a booklet – electronically or otherwise with relevant information about your industry. E.g. “Why Guerilla marketing is good for businesses with a small budget” I am a salesperson, so this relates to my industry. Everyone loves free information, and this also demonstrates your expertise. This helped me get my last job, and it has been wonderful. Give the booklet away electronically or through other means. You can also advertise it to newsgroups where HRs personnel can see it. If you do this properly, it will help you get a job in Nigeria. Does it sound crazy? You should know that desperate time calls for desperate measures. Pick up the phone, call the Human resource department. You can ask them what outside agency or third party or recruiting firm they use. They will surely ask you why you want to know. Pitch your skills. Remind them that since they are not recruiting now that you are available, can they recommend any competitor that might need your expertise? The idea is to create value for you and help you get a job in Nigeria. FREE TIP: Make sure you rehearse what to say before calling anyone on your list – it helps to make you deliver a smooth sales pitch. To achieve all these, you must have a well-designed CV and your cover letter must be of the highest quality. If not, you might just end up making motions with no movement. To get a job in Nigeria, you must be ready to work hard for it, unless you have the popular “connections”. Subscribe for more articles like this. Remember to share to your friends. Swift Network is a Telecommunications company located in 5000 Whitestone Ln, Plano, Texas, United States. 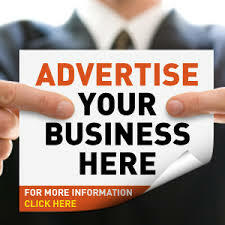 Our company is an Indigenous Internet Service Provider Company with outlets spread all over Lagos State. Our core services are the provision of high speed internet services, telephony and IP – VPN services to both residential and enterprise subscribers. **QUALIFIED AND INTERESTED CANDIDATES SHOULD PLEASE ATTACH THEIR UPDATED CV WHILE SENDING IN THEIR APPLICATIONS. Note: Qualified and interested candidates should please attach their updated CV while sending in their applications. The Administrative Coordinator provides the Team with administrative support, including typing, filing, answering telephones, taking messages, maintaining appointment calendar, making travel arrangements, internal customer service and other general office duties. An Administrative Coordinator provides the Team with administrative support, including typing, filing, answering telephones, taking messages, maintaining appointment calendar, making travel arrangements, internal customer service and other general office duties. An Administrative Coordinator serving Hilton brands is always working on behalf of our Guests and working with other Team Members. An Assistant Human Resources Manager is responsible for providing first-class employee relations services to the Human Resources Manager and management team to deliver an excellent staff experience while assisting with Human Resources strategy. As an Assistant Human Resources Manager, you will be responsible for providing first-class employee relations services to the Human Resources Manager and management team to deliver an excellent staff experience. An Assistant Human Resources Manager will also be required to support employee relations and ensure compliance with staff training requirements. A Training Coordinator will act as a change catalyst for cultural and organizational transformation through the development of function excellence among Team Members. As a Training Coordinator, you serve as an integral component of the Human Resources function by supporting learning and development initiatives through Hilton’s comprehensive training framework. As a Housekeeping Manager, you are responsible for overseeing all housekeeping operations to deliver an excellent Guest and Member experience. A Housekeeping Manager will also be required to evaluate guest satisfaction and set department targets and objectives. The Head of Finance will lead various section of the Finance Department and is responsible for the day to day accounting duties. The Head of Security directs security personel to deliver a safe Guest and Member experience while coordinating with government and law enforcement and ensuring compliance with local safety legislation and emergency procedures. As the Head of Security, you are responsible for directing and coordinating the activities of security personnel, coordinating with government and law enforcement agencies, and organising patrolling of the property to deliver a safe Guest and Member experience. The Head of Security will also be required to liaise with their direct report on important matters and ensure that hotel is in compliance with all local safety regulations and emergency procedures.